Please enter your order ID provided when you made your purchase. It will not be shown on the website but helps to determine the authenticity of the review. Gain knowledge first before buying! 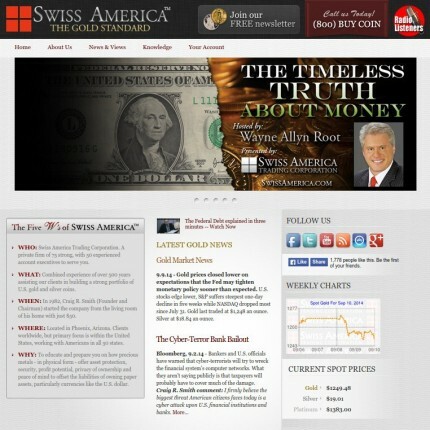 I started purchasing gold and silver to protect my assets from a devalued US dollar. I purchased from swiss america and was steered into buying numismatic coins that would do nothing to protect from inflation. It wasn't until I read a excellent article by Peter Schiff where he explained in detail the differences in numismatic coins and bullion. Mr Schiff called numismatic coins fools gold.. I gained knowledge from him, many others and countless articles. Something swiss america never did! Who would want numismatic coins in a bad economy with the outcome unknown? Who would want numismatic coins ,a stamp collection, paintings to barter with if the $ collapses ??? With this knowledge I then contacted swiss america to dump these numismatic coins and to their credit, they took them back no problem but when the broker told me I'm making a big mistake, I responded I want protect my assets, life savings in this age of devalued dollar and inflation with bullion not a stamp collection in numismatic coins! 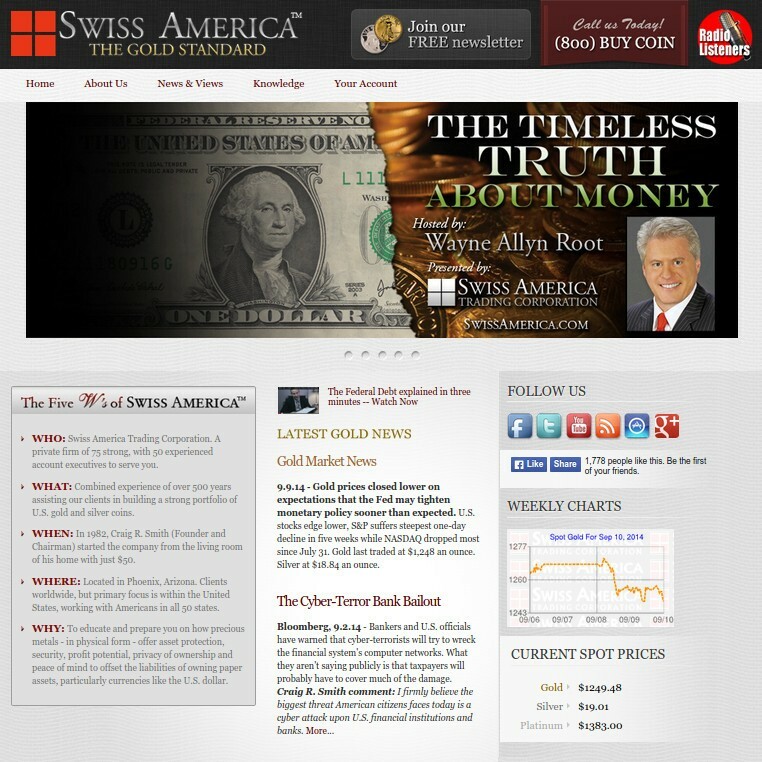 The swiss america broker went silent on the phone! I have made two purchases from this outstanding company. Their customer service and advice is off the charts. As far as purchasing newmismatic coins go, it seems the most sensible purchase for those who don't want big brother knowing how much they have invested. I would recommend this company to anyone who has a desire to protect a portion of his wealth. Buy back guarantee is a great bonus as well. Can't go wrong with these guys. Add this dealer's widget to your website!